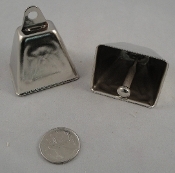 46 x 36mm Nickel-plated cow bell - great for intermediate to medium sized birds. 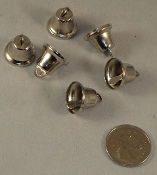 Make a different sound than the standard bells. 1 bell per package. Hole is suitable for 16mm o-rings.